We crossed our fruity flavorful Blueberry with the legendary Purple Haze to create the pungent skunky danky Blue Dank. Anticipate this marijuana plant growing between 4 to 6 feet in height, depending on the length spent in veg phase. The marijuana seeds produce a dark green plant that can become purple hued later in the season. 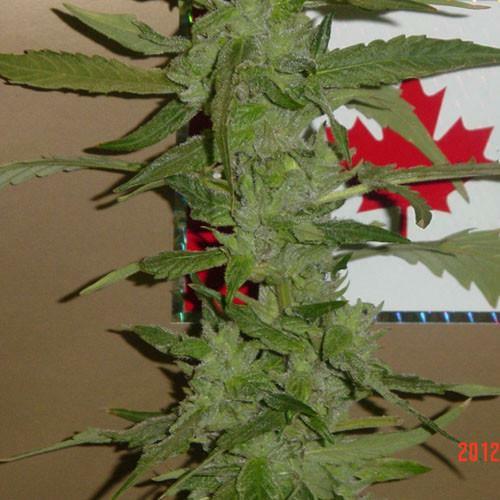 Blue Dank has a marijuana flowering time between 55 – 65 days. Depending on skill level the marijuana plants will produce between 2 – 4 ounces of quality dank bud. Has a very skunky rich thick smoke.